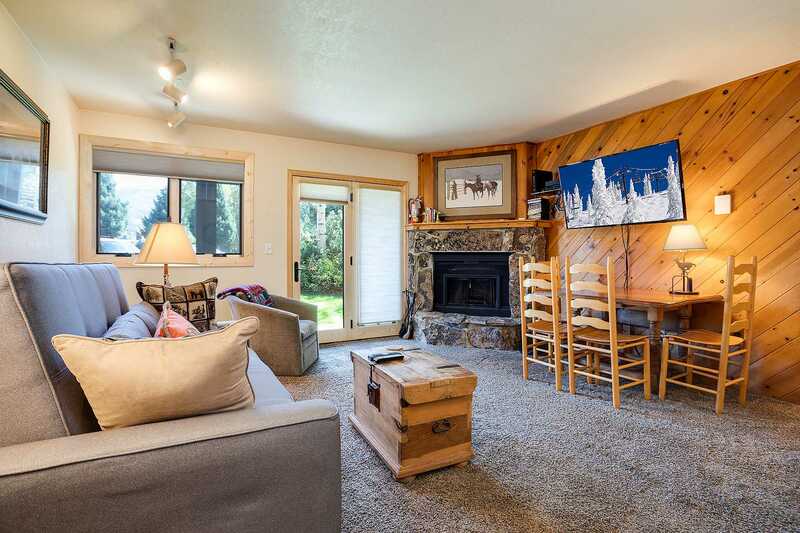 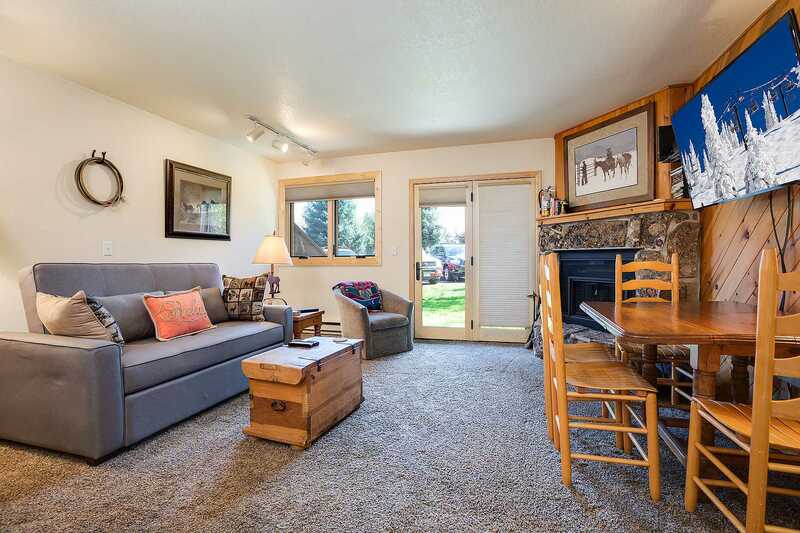 This cozy ground floor vacation rental features a wood burning fireplace in the living room along with a new queen size sleeper sofa. 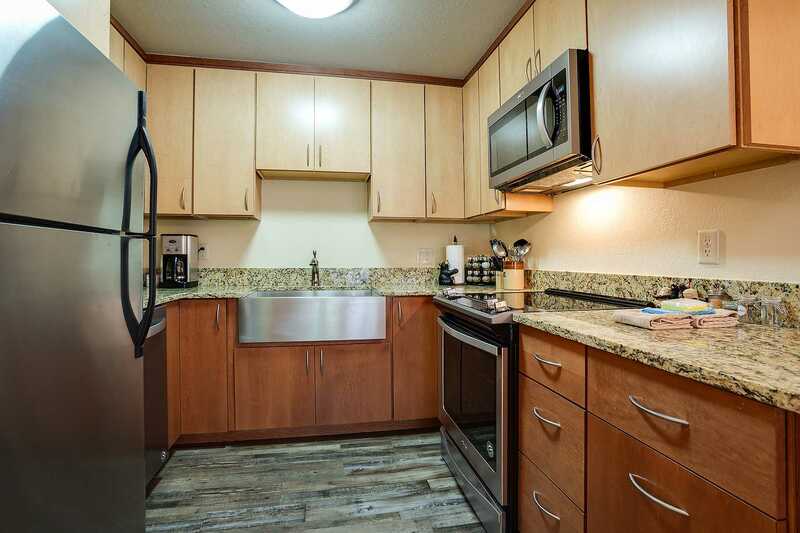 The living room also gains access to the outdoor patio and a short 100 yard walk will get you to the Free City shuttle. 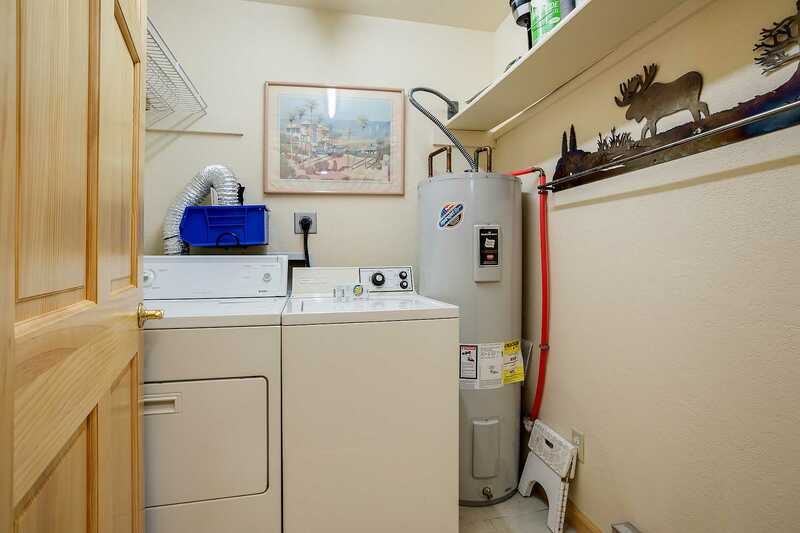 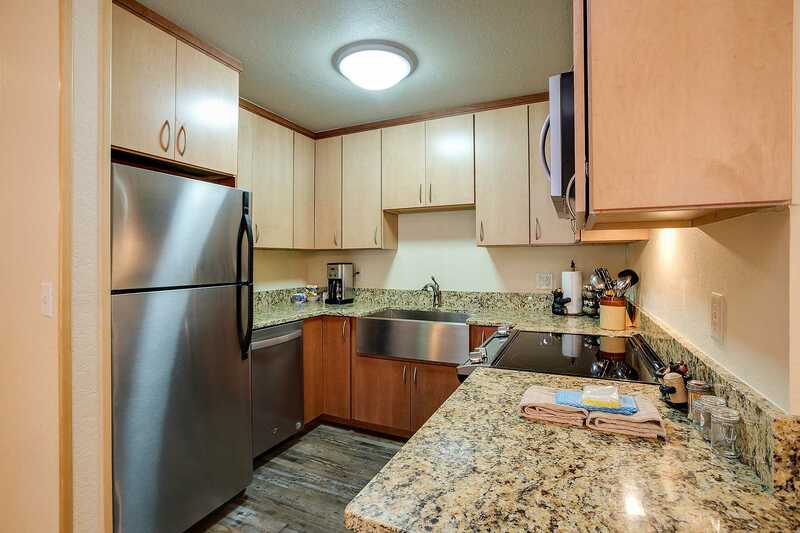 The kitchen comes with stainless steel appliances and is fully equipped for any family feast. 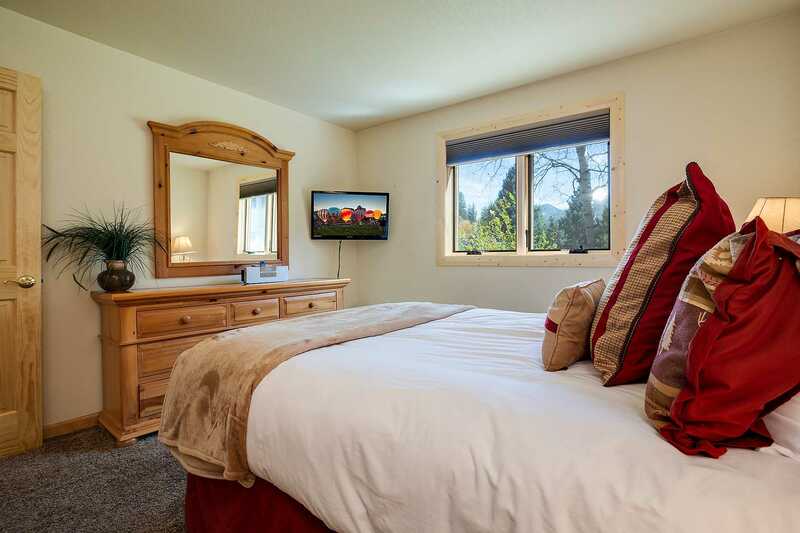 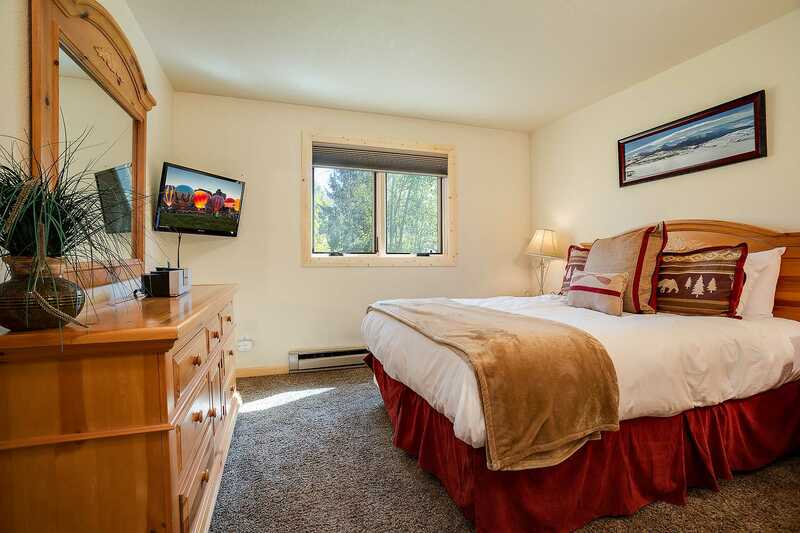 Lastly, the bedroom has a queen bed and great views of the ski area. 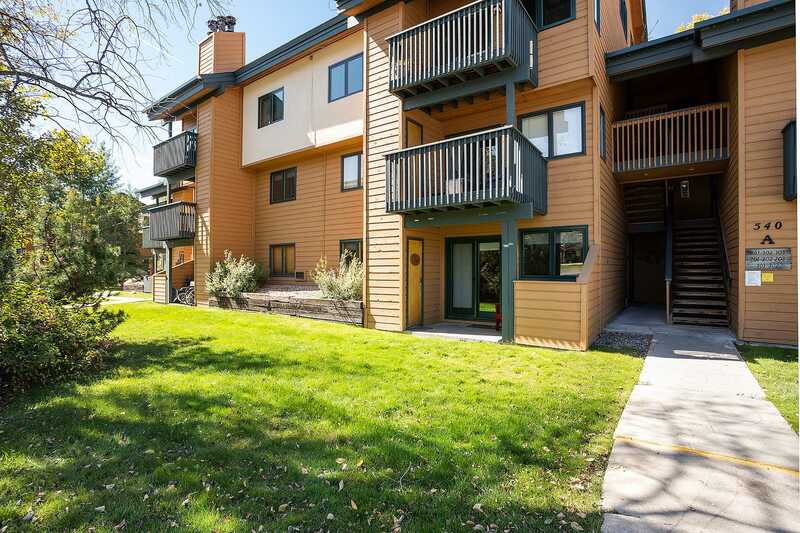 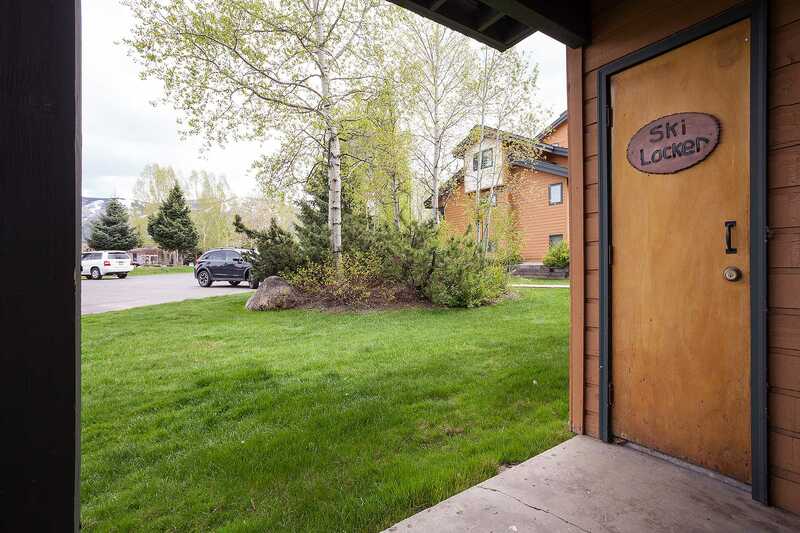 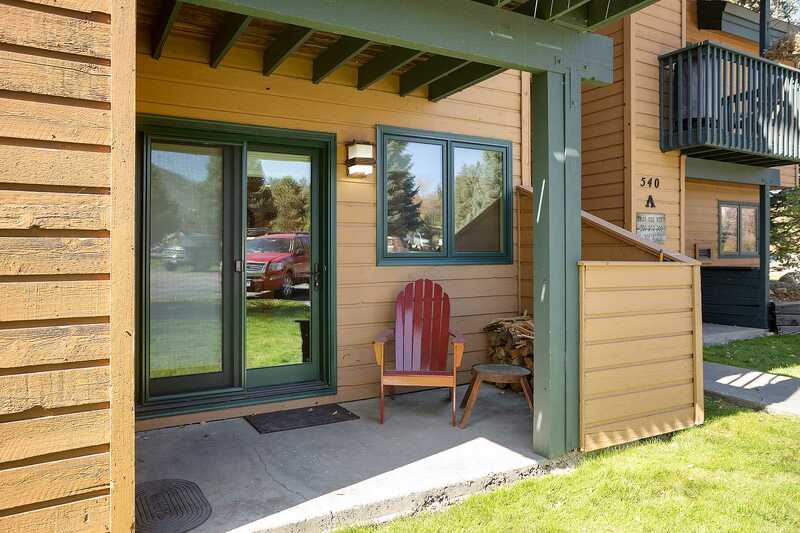 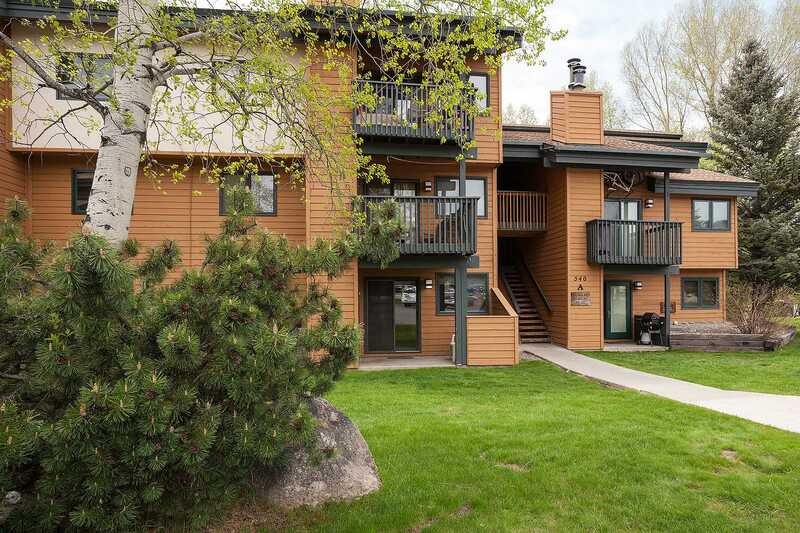 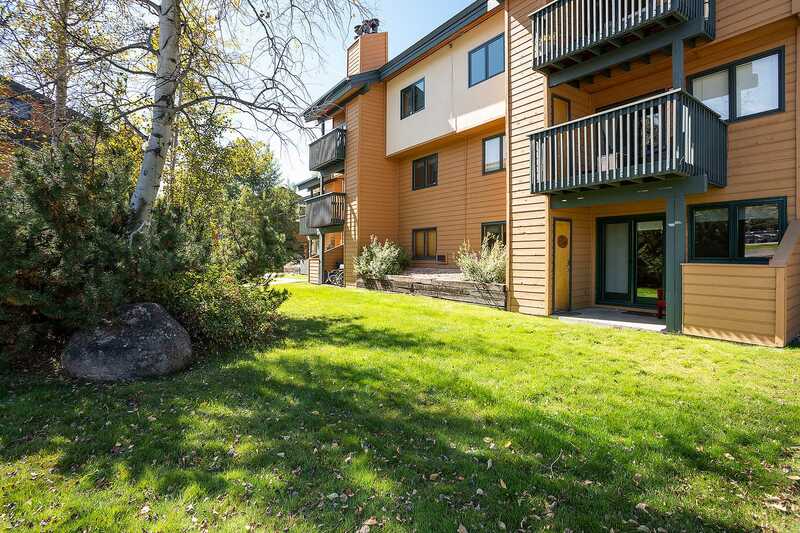 The Pines Condominiums are situated in the heart of Pine Grove between the ski area base and downtown Steamboat Springs. 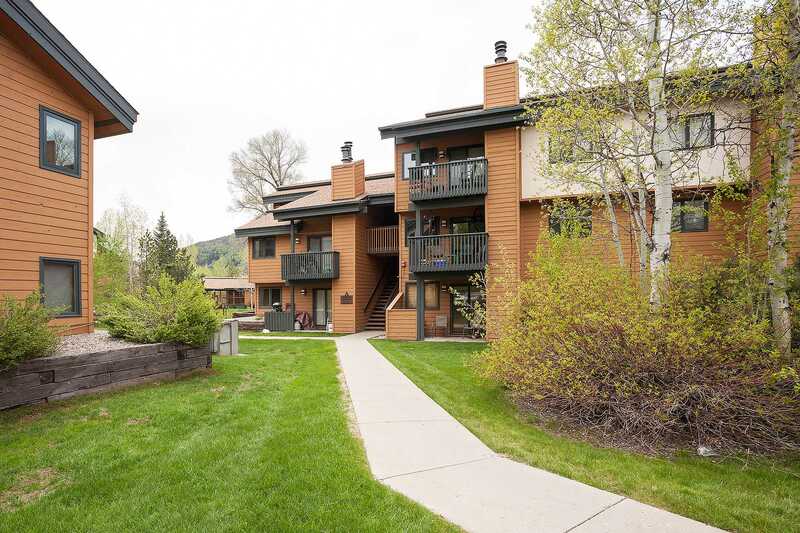 These residential condominiums are located within walking distance of two major shopping areas that include restaurants, food markets and ski and sporting goods shops. 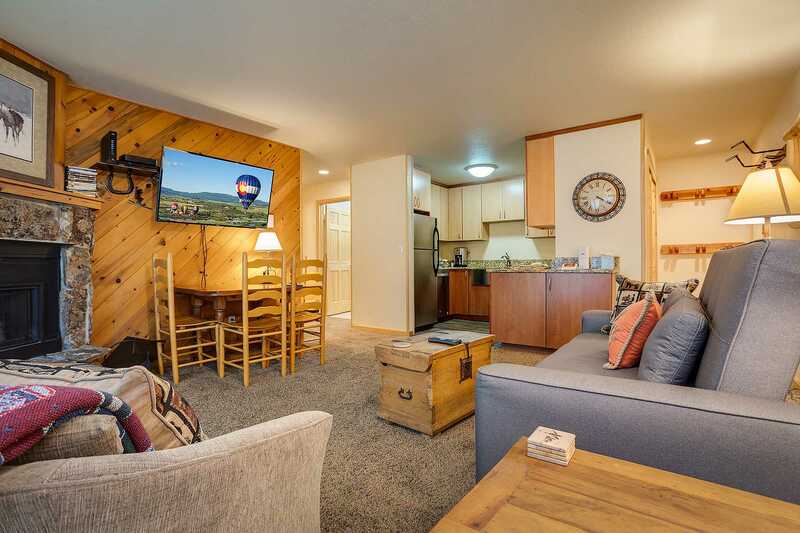 The attractive one, two, and three-bedroom units offer guests a superb location for an awesome family ski vacation. 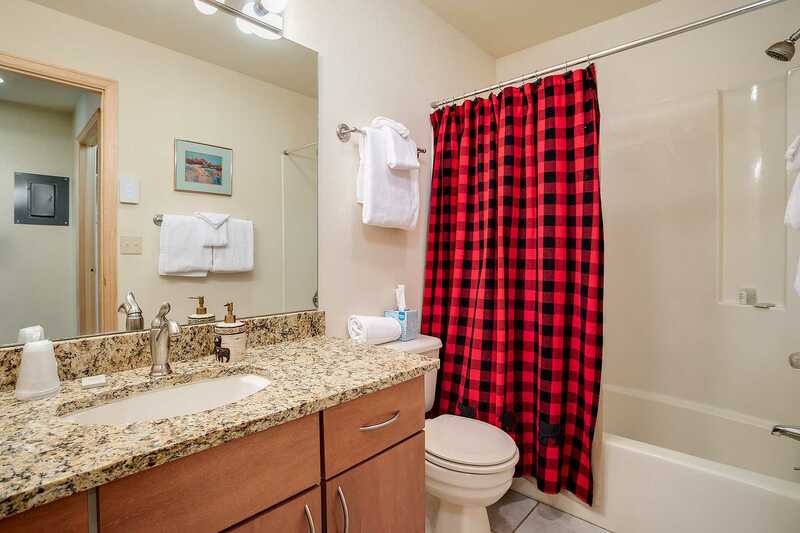 WIFI - Complimentary high-speed wireless internet access is provided. 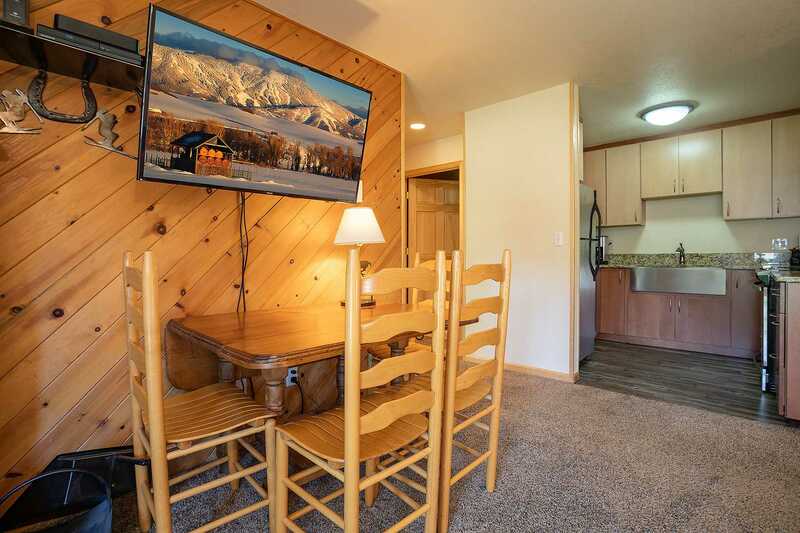 Guests must bring their own computer. 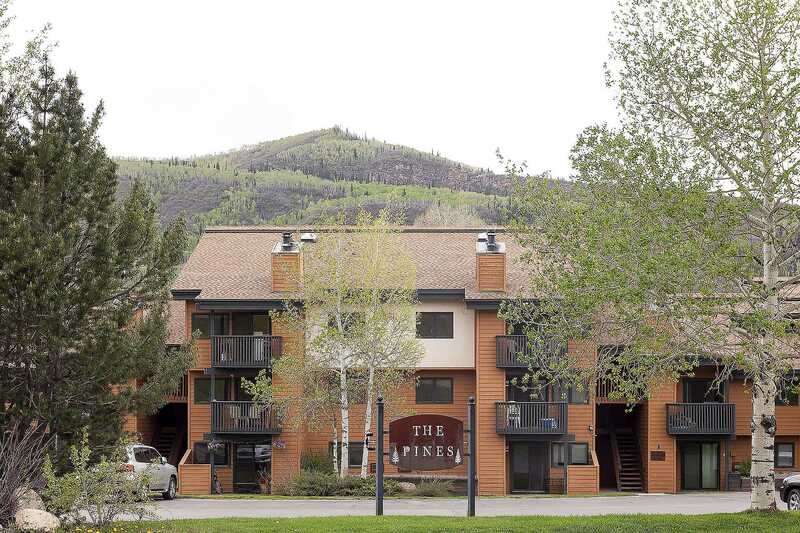 Calculate rates, confirm dates and book P103A - The Pines Condominiums online.